Freeze the chocolate milk in ice trays. You can do this a few days in advance. Make 4 cups of espresso using a machine or instant coffee and let cool. 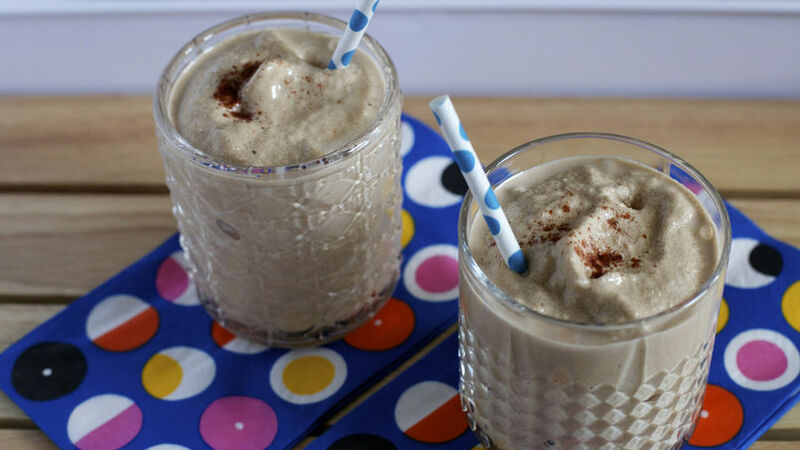 Place the chocolate cups, the cold coffees and the powdered milk in the blender for 1 minute. Continue blending until you have the consistency of a frappe. Taste and adjust the sugar. Add the ancho pepper to taste. Serve in cold glasses and sprinkle with pepper. You can skip to pepper or use cayenne pepper to give it more of a kick. During the summer cold coffee becomes one of our favorite drinks, especially when it's served as a frappé and remains cold for a longer time. This version is made with spicy chocolate milk and is very popular. It's a delicious mocha frappe.